Kid's toys are not only getting more expensive, they're also getting more sophisticated. Decades ago, a popular doll or stuffed animal might repeat a half-dozen recorded phrases when you pulled a string. Today, that's considered quaint. 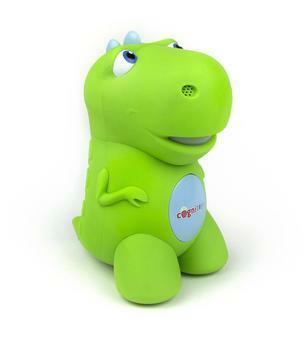 Now, toys like Hello Barbie and CogniToys Dino are connected to the internet, and can joke around with children, actually responding to their questions. The kids' voices are also recorded and stored in the cloud for future reference, helping the toys "learn." While there is a certain "cool factor" to all of this, a lot of parents have growing privacy concerns, while children are largely clueless. At least, that's the conclusion of a new study by the University of Washington (UW). "These toys that can record and transmit are coming into a place that's historically legally very well-protected -- the home," said co-lead author Emily McReynolds, associate director of the UW's Tech Policy Lab. "People have different perspectives about their own privacy, but it's crystalized when you give a toy to a child." Exactly. Adults might not be too concerned that Amazon's Alexa is listening to their conversations between reciting the weather forecast and coming up with a recipe for dinner. But it's another thing entirely when it's their children who are being recorded. As these connected toys have become a bigger force in the marketplace, there have been incidents to give parents pause. There was the recent case of VTech, a maker of tablets for children, which suffered a data breach two years ago. The hacked database contained data on more than 200,000 children. In a study, UW researchers said the majority of kids playing with internet connected toys were unaware their voices were being recorded. They also concluded the kids placed a lot of trust in the toys, suggesting they might share secrets with them, especially if prompted to do so. Co-lead author Maya Cakmak suggests toys serve as a social agent. You might tell a doll something you wouldn't say to a cellphone. "A toy has that social exterior which might fool you into being less secure on what you tell it," she said. "We have this concern for adults, and with children, they're even more vulnerable." The UW researchers were also surprised that at least one child had reservations about the high-tech toys. When a parent explained how her conversations with the doll could end up being shared online, the child replied "that's pretty scary." The researchers say their work is aimed at informing the discussion about privacy. They said they hope policymakers and toy designers will consider these issues as they produce the next generation of toys, which undoubtedly will be even more sophisticated.